Architects and builders have used natural stones like marble and granite for thousands of years in order to achieve a look of artistry and affluence. Marble floors have stood as a decorative touch, an opulent addition to an interior and are intrinsically valued for their regal appeal across all continents and cultures. Virtually all natural products have flaws which can add to their charm. Though they look appealing, these flaws can also pose problems which many consumers are not aware of. Natural granite and marble have veins and seams, which can crack. Being porous, they are susceptible to staining, and must be treated with sealers on a regular basis. Besides dirt, porous surfaces can harbor bacteria, which is the last thing you would want on your kitchen or bathroom surface. Johnson engineered quartz is comprised of more than 90% quartz crystals which is one of the hardest minerals found in nature. These compact, hard, imperious, composite products can be supplied in the form of slabs, tiles, or special formats with a wide range of applications in private, public and industrial sectors. Application areas include flooring, wall cladding, kitchen countertops, door jambs, window sills, bathroom vanity units, tables etc. Johnson TopShield is the pre-fabricated quartz countertop designed keeping in mind the architects, interior designers and users who value visual appeal as much as the product performance. With special anti-microbial properties and a food-grade certification, Johnson TopShield is product developed through fusion of pure natural quartz and Johnson's technical expertise. It has all the beauty of natural stone without the maintenance associated with it. Johnson TopShield is twice as strong as granite, requires no resealing, is highly resistant to scratches & stains, and can be made available in a large variety of colors. 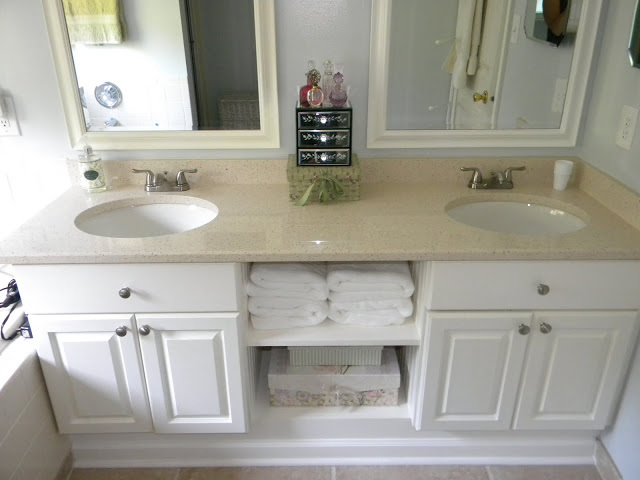 Engineered stones create something beautiful and lasting from the waste generated by natural marble quarries and other recycled contents like glass & mirrors. Chunks and pieces of stone discarded by quarries are crushed, ground and used to produce nature friendly products called engineered stone. Johnson engineered marble & quartz is available in modular sizes which minimizes wastage during usage. All wastages during calibration, trimming and polishing at the manufacturing plant are also re-cycled. Using recycled contents help conserve energy and resources by reducing mining, controlling pressure on landfill space and preserving precious natural resource."